NEW DELHI- Brazil will push for its large emerging-market peers including China to denounce what it sees as unfair monetary policies by Europe and the United States, raising the stakes in a global confrontation over economic imbalances. Brazilian Trade and Industry Minister Fernando Pimentel told Reuters on Wednesday his country would seek such language in a communique at this week’s BRICS summit, which brings together Brazil, Russia, India, China and South Africa. Many analysts believe that Beijing artificially manipulates its currency but Pimentel said the biggest policy problems now are in the rich world. Pimentel also gave details of a new initiative to reduce business costs for Brazilian exporters and importers, and explained how his country will seek to address alleged global economic imbalances before the World Trade Organization. Brazil accuses rich countries of causing a “monetary tsunami” by engaging in expansionist policies such as low interest rates and bond-buying programs. The policies are designed to stimulate the troubled U.S. and European economies, but have also unleashed a wave of global liquidity that has poured into emerging markets like Brazil, driving up their currencies and making their economies less competitive abroad. “I think there’s going to be a mention of this (in the communique), for sure,” Pimentel said. 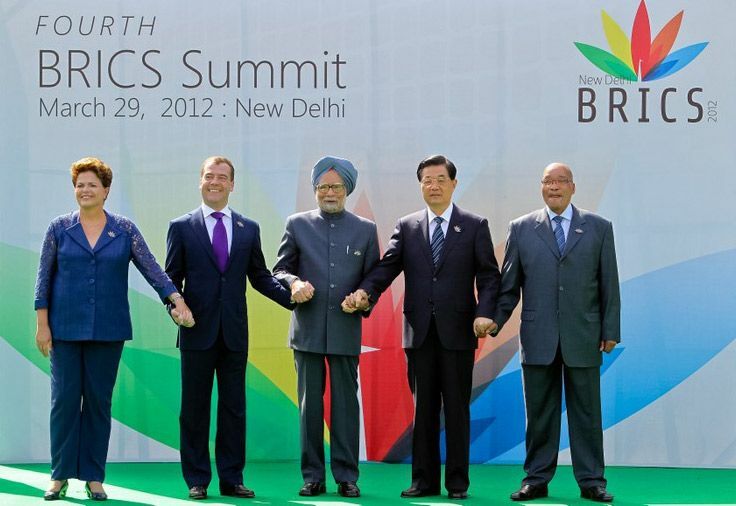 A united front among the BRICS is unlikely to persuade rich nations to change their monetary policies. But it could give Brazil and other countries critical political cover to seek palliative action by raising their tariffs or pursuing change at global bodies like the WTO. Brazil is spearheading a discussion on currencies this week at the Geneva-based body.